I had just paid for my first US online shopping loots. And I am very happy. Tagged along girlfriend's shipment. 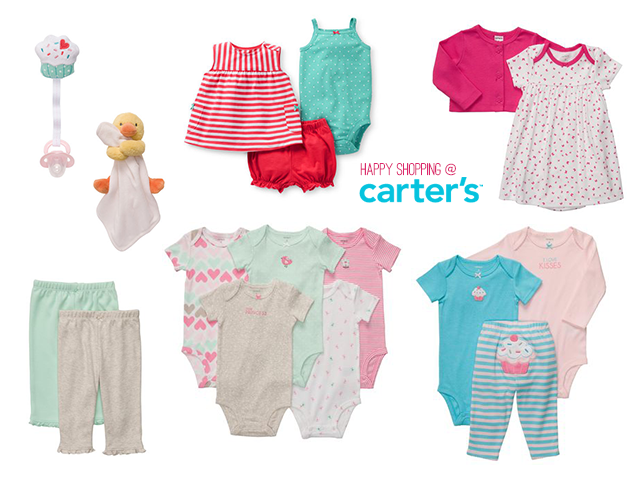 There are so many cuties on Carter's, but had aimed only for those on sale with the 20% clearance sale on top of it. Not too sure whether these are suitable, but I had shopped happily. Don't you agree that they are so adorable? Hopefully the sweetie pie is able to fit in and likes them. Not too sure if this first US spree is going to open up to future sprees. Will have to control a little more.